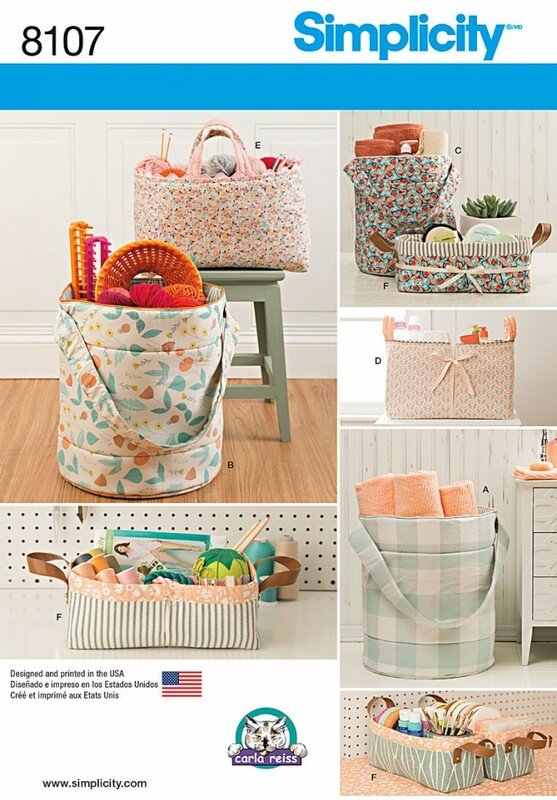 Fabric buckets, baskets and totes are perfect for storing and organizing your stuff. All organizers feature contrast lining and handles for easy moving. Carla Reiss Design for Simplicity.